Federated Logistics, Inc. currently owns and operates an award winning fleet of over 300 53ft van trailers that are customized to our customer’s needs. 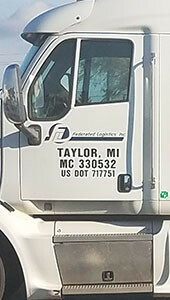 Federated Logistics, Inc. utilizes industry leading technology with remote satellite tracking to provide remote monitoring and pin point location. Using this ensures on-time delivery to our customers dock doors. 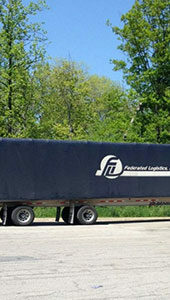 Federated Logistics, Inc. currently owns and operates a fleet of 53ft flatbed trailers with Eagle Tarp systems. Say goodbye to tarping loads with this easy to use tarp system. 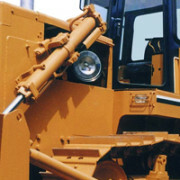 We have vast experience hauling building materials, steel in all shapes and sizes, and just about anything that you would like to ship on a flatbed. Federated Logistics, Inc. utilizes industry leading technology with remote satellite tracking to provide remote monitoring and pin point location. Our flatbed fleet is designed to provide safe, secure, and on-time delivery to our customers’ doors. If you buy materials in larger quantities to save money, but don’t have enough room to store it at your facility, give Federated Logistics, Inc. a call. 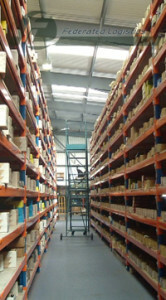 We can store your product and release it to you when you need it. We own and operate our own 60,000 square foot facility with 8 dock doors, and two grade level doors. Please visit our Federated Group Service, LLC drop down menu for more information. Let Federated develop milk runs for your “Just in Time” freight. We have saved customers thousands of dollars in freight costs annually. 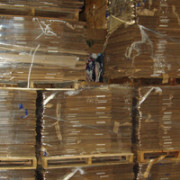 We will develop a plan to get your material to you in a timely manner, damage free, and at a substantial savings. If you buy materials in larger quantities to save money, but don’t have enough room to store it at your facility, give Federated Group Services, LLC a call. We can store your product and release it to you when you need it. We own and operate our own 60,000 square foot facility with 8 dock doors, and two grade level doors. Federated Group Services, LLC offers a wide range of options for your company. Some of the options we have available are: Assembly; Sequencing; Kitting; Sorting; Rework; Containment; as well as Staffing. Give us a call to see how we can help your company. We will be happy to answer all your questions. Let Federated Logistics, LLC analyze your shipping patterns. We have a team on hand to manage customer freight even when our assets aren’t able to supply capacity to ensure a full-service transportation solution. We can maximize your freight dollar while keeping your inventory down. We can save your accounting team time by providing you with one weekly invoice detailing all of that week’s shipping or one invoice per shipment. You tell us how you would like to be billed. Federated Logistics, LLC has expanded its customer base to include construction companies that may require double drop or RGN trailers. Some customers require temperature controlled trailers, and other require step deck trailers. Whatever the case, call Federated Logistics, LLC for your next specialized equipment move. Give Federated Logistics, LLC a call when you have a shipment that weighs more than 10,000 pounds or is more than 14 linear feet. We have a network of truckload and LTL carriers looking for freight of this kind. 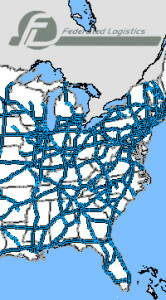 Federated has negotiated competitive rates with many of the industry’s leading LTL carriers. We can typically save a new customer between 10% and 20% on their LTL budget. Let us know how we can help you.